The Emmy® Award-winning Tom Gregory hosted "GO Coast: Louisiana" and experienced the culinary scene, music and great outdoors of St. Tammany Parish. Vignettes from the St. Tammany episodes are now available in a series of videos you can view at www.YouTube.com/LouisianaNorthshore, on the GO VISIT: Louisiana&apos;s Northshore playlist. Click on the images below to go to each video. Hungry for more? 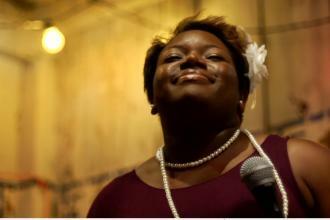 Sample the new Tammany Taste videos, too. 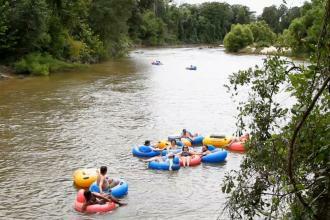 Take a leisurely tubing trip down the Bogue Chitto River with Louisiana River Adventures in Franklinton. 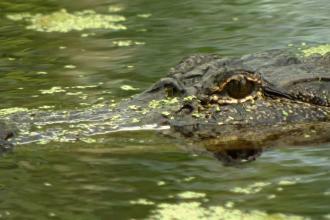 Learn what type of bathing suit alligators love the most! 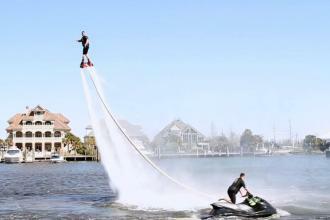 Find out if Tom Gregory is finally able to get some air flyboarding on the Tchefuncte River in Madisonville. 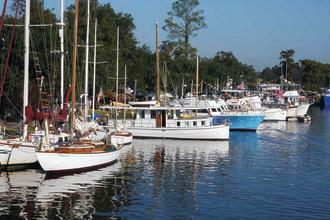 The maritime heritage of St. Tammany is celebrated every October at the Wooden Boat Festival in Madisonville, sponsored by the Lake Pontchartrain Basin Maritime Museum. Visits Insta-Gator Ranch and Hatchery in Covington, a working alligator ranch for a guided tour and the chance to hold or hatch a baby gator in season. 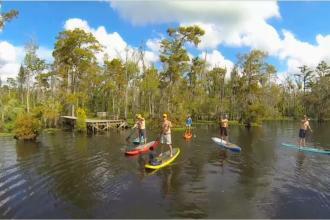 Standup Paddling with Bayou Paddle Company is a fantastic way to explore the bayous, lakes and rivers in St. Tammany Parish. 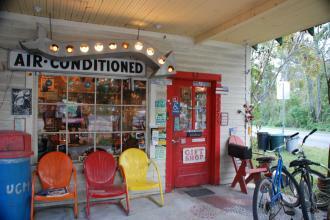 Bayou Adventure rents fishing equipment, kayaks, and bikes, and is a live bait shop. 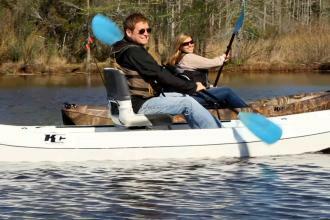 Nearby Big Branch Marsh National Wildlife Refuge and bayous Cane, Lacombe, and Castine make Bayou Adventure the perfect place to begin your exploration of the Northshore outdoors. 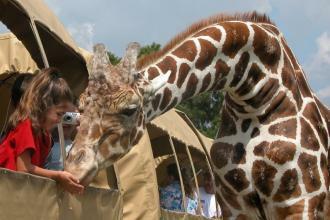 Features acclaimed musician Amanda Shaw fiddling on the Mandeville lakefront and accompanying Gregory to feed a family of giraffes at Global Wildlife Center in Folsom. The historic Dew Drop Social and Benevolent Hall sets the tone for GO JAZZ, and gives a glimpse into St. Tammany's role in the creation of jazz, America's original music. 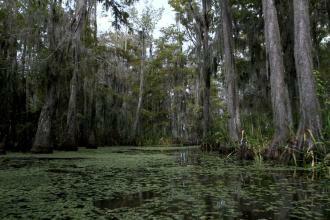 Meet the alligators of the Honey Island Swamp and, just maybe, the legendary monster that calls it home. Meet the eccentric John Preble of the UCM Museum in Abita Springs, and the wacky Buford the Bassigator and Darryl the Dogigator. 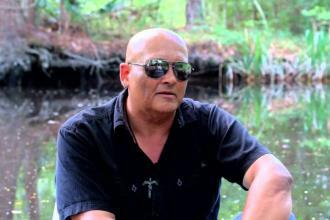 Native American historian Grayhawk Perkins leads a canoe trip on Cane Bayou in GO HISTORIC and brings Gregory to Ruby's Roadhouse for his band's gig with the late Coco Robicheaux. 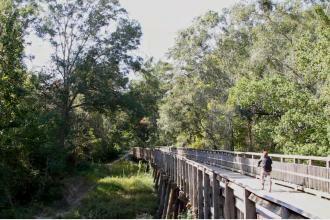 Rent bikes and explore Louisiana's first Rails to Trails conversion, the 31-mile Tammany Trace, as it connects the Northshore towns of Covington, Abita Springs, Mandeville, Lacombe, and Slidell.